CACR has been working since 2003 to provide the nation with leadership in applied cybersecurity technology, education, and policy. 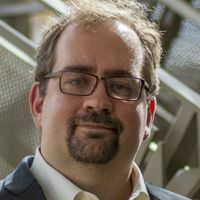 CACR's applied research, funded by the National Science Foundation, the Department of Homeland Security, the Department of Energy, and others, identifies and addresses difficult cybersecurity problems facing public and private communities, while inviting continued collaboration to foster greater innovation and creativity. NEW! Registration for CACR's Security Matters Cybercamp for high school students is now open! Find more information here! CACR serves Indiana and the nation by tackling cyber risk in research and other unusual environments through agile, holistic, principle-based cybersecurity.